Secure your belongings with care in a secure storage facility. Get a quick quote. We deliver, fill, and pick up the storage container for personal or business needs both long term storage and short-term storage. "... we needed a secure and professional company that would be able to store and safeguard our treasures while we began a two-year sabbatical. Randall Moving & Storage fit the bill perfectly." Ensuring safe and proper storage requires more than just warehousing space. At Randall Moving & Storage, we understand how important it is to protect your valuables, products, and assets. 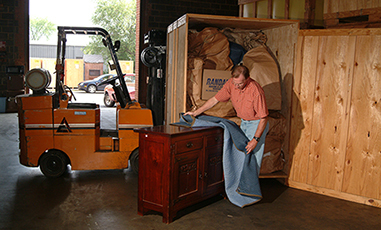 If your new home or place of business isn't quite ready, or you need long term secure storage, consider this: Randall Moving & Storage has 13,000 square feet of secure, moisture-proof storage facilities equipped to safely store anything from fine art work to high-end household furniture and anything that requires special pampering and protection. 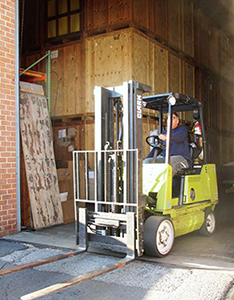 Located in the neighborhood of historic Old Town Manassas in Northern Virginia, Randall Moving & Storage has been safeguarding the household goods of Northern Virginia families and businesses for over 2 decades. Randall's is a well-established name that locals have come to trust over the years. We offer personalized customer service, often overlooked by franchise run facilities. Randall Moving and Storage is the perfect solution for homeowners who must move before their new home is ready, to military customers who are being deployed, and to anyone needing long or short term storage. We deliver, fill, and pick up the storage container for personal or business needs for both long-term storage and short-term storage needs. Your goods are stored in clean, dry, locked wooden vaults stacked 3 vaults high. If you need frequent access to your things, a public storage facility would be a better choice for you. 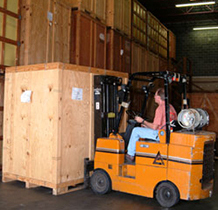 Our storage is quite affordable and unlike public storage facilities, the cost is pro-rated. You pay only for the days you are in storage. Don't risk storing your personal items in an outdoor storage container. Long term exposure to high humidity or freezing temperatures can damage belongings. Furniture, fabrics, computers, televisions, household appliances, books and video games, are just a few of the items commonly stored that are effected by excessive temperature swings and high humidity. We provide full-service storage services in a secure storage facility for your short or long term storage needs.